Make a statement in this maxi dress girl. 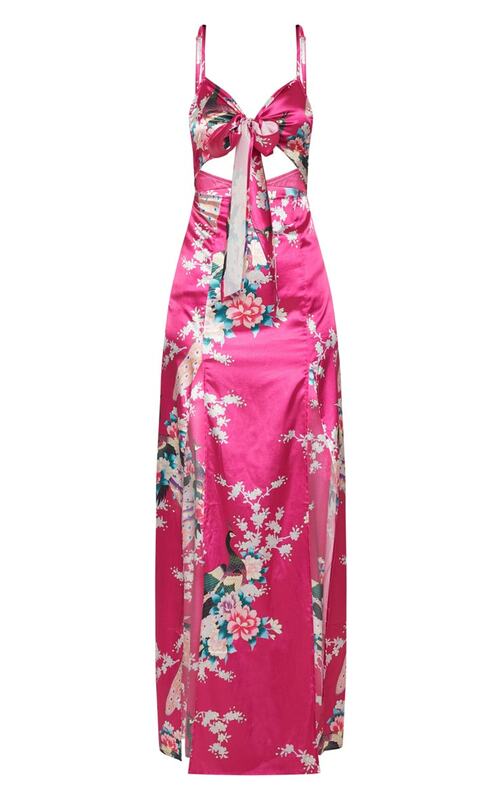 Featuring a pink satin material with an oriental print, a tie front a cut out detailing. Style this dress with pink strappy heels and gold accessories to steal all the stares.